California has been fortunate in her women. Her men have been intent on getting wealth; her women equally in­terested in distributing it. California pio­neers gathered easily and spent as they gathered. They were not too scrupulous; they lived recklessly and wore themselves out while in their prime, leaving to their widows huge fortunes. These widows, al­most without exception, have turned their backs on society and on display. They have cultivated ideals beyond mere family ag­grandizement. Mrs. Phoebe Hearst's ideal has been education. Like most state universities, California University was poorly endowed. It was rich­ly gifted with land, and it had some pro­ductive assets, but it had not been as gener­ously supported as it deserved. Its buildings were ramshackle, and had never, even in youth, been anything but hideous. Its grounds were unkempt and neglected, though its site is one of the most beautiful in the world. Each Legislature in turn promised to do something for it, but, in the end, the economical country members and the city delegates, more interested in the corner saloon than in the higher education, knifed its appropriation and left it several years behind its needs. It was in such a crisis that Mrs. Hearst came to save the university. She had been known as an exceedingly gentle and refined woman, an accomplished hostess, a traveler, a club woman, extremely generous and par­ticularly interested in all that pertained to women and children. She had been a gener­ous supporter of kindergartens, boys' clubs, college settlement work and of all that tended to equalize social conditions by rais­ing the submerged third or fourth to a higher level. This work had been done quietly, without blare of trumpets. There were many in her own city who never dreamed that Mrs. Hearst's ideals were be­yond those of the ordinary woman of society who chooses to dabble in charitable work. She had spent much time away from Cali­fornia. While her husband represented Cali­fornia in the United States Senate, Mrs. Hearst made her home in Washington, where her entertainments were justly celebrated. While her son was in Harvard University, Mrs. Hearst spent several winters in Boston. She frequently traveled abroad. 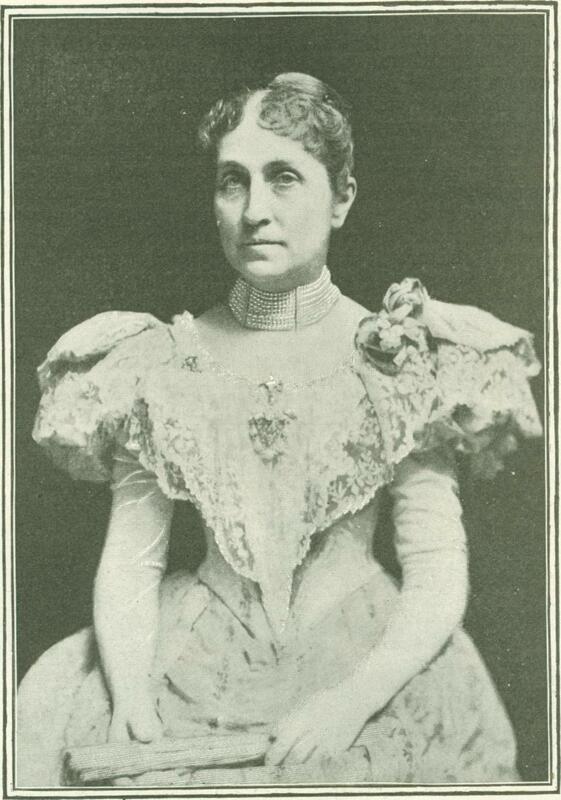 In San Francisco, she had been the first president of the Century Club, one of the pioneer clubs for women in the city. At Washington she had been prominent in the Mother's Con­gress. Her interest in the University of California, with which her fame is so closely bound, began in the women students of the institution. Mrs. Hearst's Country House, "Hacienda del Paso de Verona." Mrs. Hearst is essentially a woman's woman. One morning it was announced that Mrs. Hearst had established several fellow­ships in the University of California—fel­lowships for young and struggling women students. It was a new departure. Up to that time the women at Berkeley had always felt themselves unwelcome. They were ig­nominiously referred to as "co-eds," with a divine masculine assumption that education is a part of man's sphere, and that women who aim above mere seminary prattle are venturing where they have no concern. But with this new and powerful ally, the status of the young women began insensibly to change. It was not long before they had formed their own organization of Associated Students. Their counsel came to be asked even in athletic affairs. The fellowships, of course, were eagerly sought in time they increased in number. The first tie had been knitted between Mrs. Hearst and the Uni­versity of California. It was about this time that the agitation for a woman regent of the university was begun. Hitherto it had never occurred to any one that the growing body of women students needed any representative on the board. It was always presumed—as it is still presumed in larger affairs—that the inter­ests of the women were the same as those of the men, and that the women were adequate­ly represented by the men regents. The re­sult of such representation was that the only place the girls could call their own was the worst room in North Hall. Here the plumbing was always out of order, the stove in continual revolt, the room crowded, dark, ill-smelling and draughty. At luncheon time North Hall was so crowded that one could scarcely move in it, much less find a chair. But the opposition to a woman regent was strong. The idea was new and therefore vigorously combated. At last came a liberal governor, James H. Budd, graduate of the university—an opportune vacancy, strong pressure from the women graduates, and Mrs. Hearst the obvious woman for the place. The appointment was a nine days' wonder. Mrs. Hearst had never been gener­ally known as a business woman, though she had taken an active and laborious part in settling and managing her large and com­plicated estate. She was an instant success. Very quiet in manner and averse to public-speaking, she is not too proud even now to confess that her heart was in her mouth when she walked into her first regents' meeting. She was almost mouse-like in her demeanor, though apparently as calm as if she were presiding at her dinner table. For all her grace and graciousness, she knew how to be firm. Sometimes she expostulated at what she considered an unwise move; sometimes she was indignant at what seemed to her an injustice. Always she was resolute, and she ended by being a power in the board. Was there a new president to be selected, send him to Mrs. Hearst on ap­proval. Was there a change under discus­sion, find out what Mrs. Hearst thought of it. The quiet woman with the sweet face under a Parisian bonnet, and the soft curves disguising the firm chin buried in furs, was the real president of that body of lawyers and bankers. Other regents had hinted much and had promised things. Other regents had given bountifully of their time and labor, but banker after banker had died without making the university even his residuary legatee. Mrs. Hearst was the first regent to show her love and faith in practical form. Mrs. Hearst and her son had planned to give to the university a trades-school. 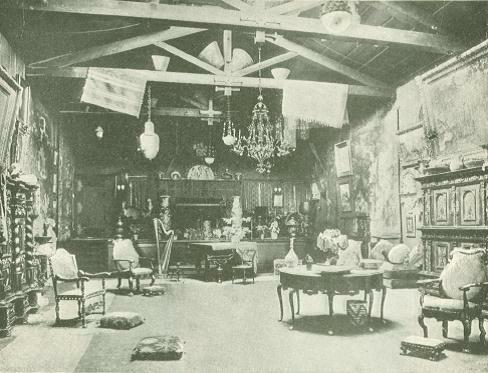 Be­fore the estate was sufficiently settled to permit them to carry out this idea, another benefactor had bequeathed to the regents of the University of California a quarter of a million of dollars to establish a trades-school in San Francisco. Then Mrs. Hearst's eyes were turned toward the university proper. She is very careful to give due credit to the man who evolved the Hearst Architec­tural Plan. She tells how Mr. Maybeck, Professor of Architecture at the university, conceived the idea of having a greater uni­versity planned all at once, the buildings to be constructed as needed, but the whole to be draughted by one man, thus securing homogeneity of plan and idea. Mrs. Hearst instantly appreciated the beauty and prac­ticality of the plan—a thing many people have not yet been able to grasp—and she decided to adopt it. Of course, money was needed. The gen­tlemen with whom Mrs. Hearst talked thought about thirty-five thousand dollars would be necessary. Mrs. Hearst smiled and remarked that she had always found in housekeeping, in dressmaking, in entertain­ing, that things cost about three times as much as you expect them to. So she set aside a fund of a hundred thousand dollars for the plans, and the result showed how much more practical was this home-loving woman than these men of affairs. The success of the Hearst Architectural Plan is a matter of history. A prospectus in several languages, explaining carefully just what was desired, and inviting architects to enter the competition, was sent to every architect of note in the world. Men who had scarcely ever heard of California, and who, if they had, imagined it to be a place of savagery, learned of a great university on the very edge of the western world, and were invited to build for hundreds of gener­ations of American students. All over the world in architectural and artistic circles people began to inquire "Where is Berkeley, California, and who is Mrs. Phoebe Hearst?" In the beginning Mrs. Hearst had no con­ception of the great advertisement this competition would be to the institution, though it proved one of the greatest advertisements ever conceived. 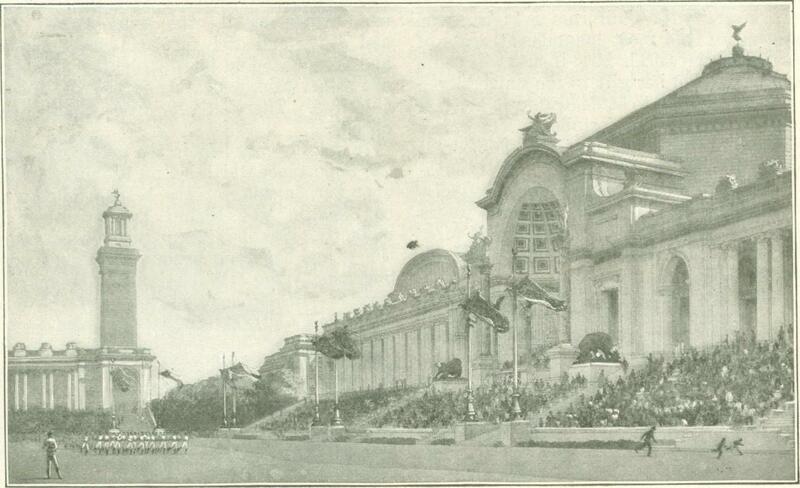 The preliminary competition of the plans took place at Antwerp. There were ninety-eight competitors, of whom eleven were invited to participate in the second competition. The most elaborate care was taken that the preliminary contest should be fair. At length preparations were made for the final competition, which was to be held in San Franciso, in the summer of 1899. Mrs. Hearst arranged everything on the finest scale. The jury of visiting architects chosen to pass upon the plans could not have been more richly entertained had they been the guests of royalty in some monarchic coun­try. The acknowledged heads of the profes­sion in England, America, France and Ger­many were invited at Mrs. Hearst's expense to come and pass upon the plans. They made the long journey from New York to San Francisco in Mrs. Hearst's private car. They were feted and banqueted. Mrs. Hearst en­tertained them at her magnificent country home; they journeyed through California by private boat and special trains. The plans had been placed in the great San Francisco ferry building, recently com­pleted. Each architect had submitted a set of plans, dealing with the site as a whole, treating some building or group of buildings in detail, both as to exterior and interior views. The utmost secrecy was maintained. No one knew who had drawn the plans. Each architect's plans were signed with a pseudonym, the key to which remained in a sealed envelope until after the competition had been decided. When at last the award was made, and it was announced that M. Benard, of Paris, had won the coveted prize of ten thousand dollars, San Francisco was more excited than she had ever been over anything pertaining to education. The most obvious thing was that the buildings were immense, and that it would be many years before the university would need them all. Another obvious thing was that to complete the entire plan many millions of dollars would be required. Mrs. Hearst understood these considerations as well as any one. She never intended to build all the structures at once, or to build them any faster than the university needed them. But she did wish to have some plan as a whole accepted by the regents of the University of California, so that future benefactors of the institution might look at this plan, select the building within their desire, or join with others in building one structure. 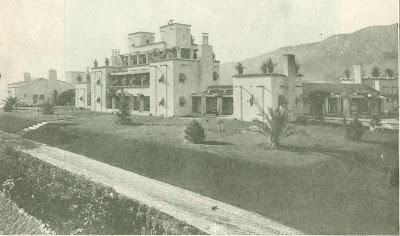 After the award had been made, Mrs. Hearst sent for M. Benard, the prize-winner, brought him from Paris to California that he might see the site of which he had dreamed, and requested him to modify his plans. He proceeded to do so, making the buildings the proper size for the grounds and for the present and future needs of the institution, changing their position somewhat to suit the slope of the land, cutting out superfluities, such as the second auditorium, contemplated in the plans, and bringing down the highest buildings, planned to crown the first and lowest range of hills. This was a mistake, as M. Benard readily saw when he gazed at the hills and understood what it would mean for students to climb them between recita­tions. The observatory, however, will re­main to crown the heights as in the original plan, and all the buildings will have the classic air which M. Benard outlined. The Acropolis in its prime was scarcely more beautiful than the University of California will be as Mrs. Hearst and M. Benard have planned it. When the Benard plans are returned to California, they will be presented to the regents for acceptance. There seems little doubt but that they will be accepted. Mrs. Hearst has no rivals. No other regent has been burning to dedicate a few millions that the University of California may be made into one of the most magnificent seats of learning in the world. Mrs. Hearst will begin at once to build her gift to the university—a mining building to be dedicated to her late husband, who dug his fortune in California's mountains. This building will be the nearest to the entrance to the grounds. In it noth­ing but Californian materials will be used—the granite from this state, the hard woods from California forests. It will cost Mrs. Hearst a million dollars to complete and en­dow the building. About fifty years ago Mrs. Hearst was born in Missouri. Her name was Phoebe Apperson, and she came of good Southern stock, her father a Virginian, her mother a South Carolinian. Her parents and the pa­rents of Mr. Hearst were neighbors, and the little girl, born to the Appersons, was named for Mrs. Hearst, mother of the boy who was to be her husband. Young Hearst went to California, found success, and returned to make his Missouri sweetheart his wife, tak­ing her to California while she was still in girlhood. Before she was twenty, her son was born—the only child she has had. Mrs. Hearst says she regrets that she has had only one child. She would like to have raised a family of sons and daughters, but as she has brought up several nieces, and has edu­cated and reared the children of her kith and kin, to say nothing of the countless children for whose education she has provided in the kindergartens she has endowed, and the young geniuses she has schooled in Europe, she seems to have done her full personal duty to humanity. 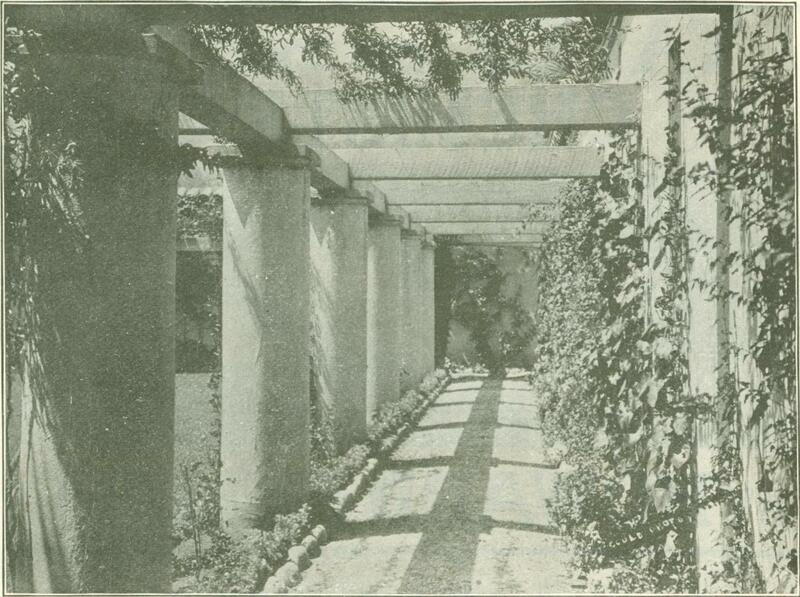 Patio at "Hacienda del Paso de Verona,"
In appearance Mrs. Hearst is slight and not tall. She gives an impression of fragility which is scarcely carried out by her cease­less activity. Sometimes the nervous exer­tion tells on her, and she is forced to dele­gate social duties to her assistants. Al­though she employs a corps of secretaries, Mrs. Hearst always opens her letters. It is characteristic of the thoroughness of the woman. And this, although her mail runs into hundreds of letters a day. Most of them are begging letters from people who do not know that this sympathetic and charitable woman is too wise to give except through organized channels. Mrs. Hearst's hair is pale brown, lightly silvered with gray. It is parted at the middle and ripples away at the side in a Madonna-like coiffure very becoming to Mrs. Hearst's benign expression and regular features. The nose is straight, regular and rather small, the eyes large, full and gray, and the forehead well shaped and pronounced in intellectuality. The lips are rather thin, delicately curved and almost colorless. There is very little color in the cheeks. In spite of her life in the public eye, and the importance which her position has thrust upon her, in spite of the responsibilities of her wealth, Mrs. Hearst has a horror of publicity. She has been interviewed many times, and has been misquoted many times. She cannot see why she cannot be left to lead her life in her own way, and she does not understand why the public should be interested in all she does and says. She is quite sincere in saying that she does not see that she is at all extraordinary. She has not yet realized that an unselfish person, devoted to the public good, with no thought of self and no desire for self-aggrandizement, is the most remarkable being on earth. Mrs. Hearst is not a monomaniac on the subject of the university plans. That is her main interest in life, but by no means her only one. The place she calls her home is the "Hacienda del Paso de Verona," located in the country not far from San Francisco. It is a magnificent chateau, built in Spanish style, splendidly equipped and furnished. Its creamy walls and red tiles are visible for miles. The stable holds many fine horses and the kennels, blooded dogs. 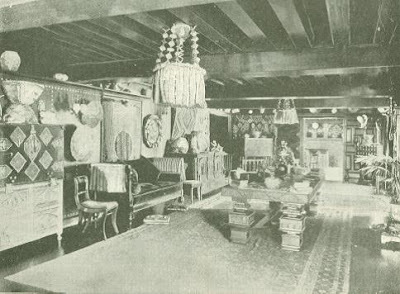 The interior of the chateau is luxurious. The main rooms are all large, hung with richest tapestries. Splendid Turkish rugs are on the floor; rare Indian baskets from California, soft-toned Navajo blankets and quaint old lanterns hang from the heavy exposed rafters. There are old carved chests, rare bits of bric-a-brac, pictures and statuary. Mrs. Hearst is an en­thusiastic collector of antiquities. Outside in the patio, sharp black shadows are vigor­ously outlined against the light walls. The place is named for the old carved well-curb brought by W. H. Hearst from Verona. Mrs. Hearst has other homes. This winter she is staying in Berkeley, where she is studying student life and its needs. To do this she rented the largest house in the col­lege town, and then built a twenty-thousand dollar hall adjoining it, especially for enter­taining. Here she keeps open house for the students at all times, and once or twice a week she gives large entertainments. She still pays special attention to the women students in whom her interest has never flagged. The lack of social life has always been one of the serious drawbacks of uni­versity life. In the summer Mrs. Hearst will return to her country place, and the big banqueting hall and music chamber will be removed to the university grounds and fitted up as a woman's gymnasium until a permanent build­ing takes its place. In San Francisco Mrs. Hearst has a suite of cozy apartments in the Hearst Building; in Washington she still retains her splendid residence; in Mexico she owns a ranch of a million acres in the state of Chihuahua, and here she purposes to build another great hacienda. 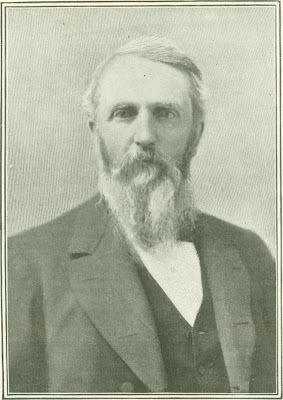 The interest which Mrs. Hearst takes in the state university has not drawn her from her allegiance to kindergartens, several of which she has endowed. She is the guardian angel behind the boys' and mothers' clubs. It is she who pays the rent of the building used for social settlement purposes in San Francisco, and she is to build the settlement a permanent home as soon as a suitable site can be found. Many musicians and painters of promise owe their years of study in Eu­rope to her. Such is the woman who is the patron of education in the West—the woman whose high purpose will leave its stamp on generations of Californians yet unborn, for no instrument can measure, and no brain can compute, the influence which the institution she has endowed is destined to have on the citizenship of the West. From Ainslee’s Magazine, April 1900.